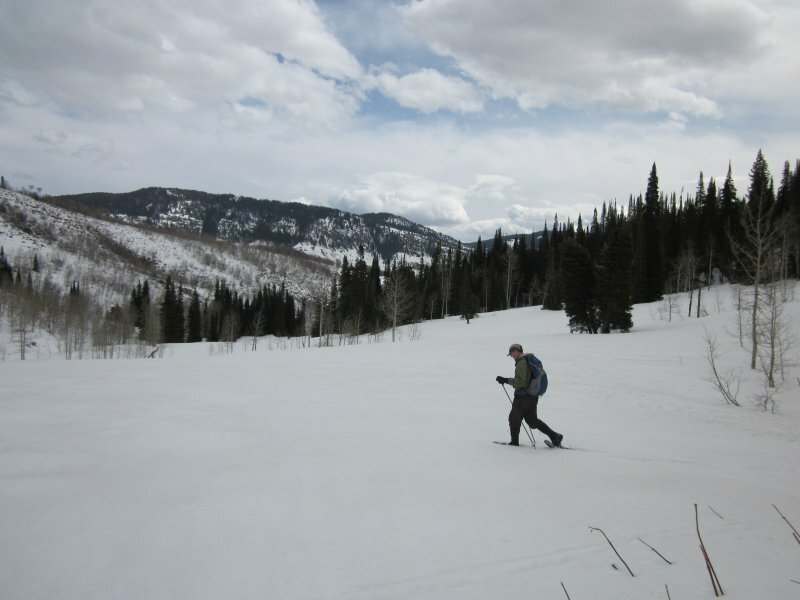 Five Cache Hikers participated on this final activity of the 2012 winter season. 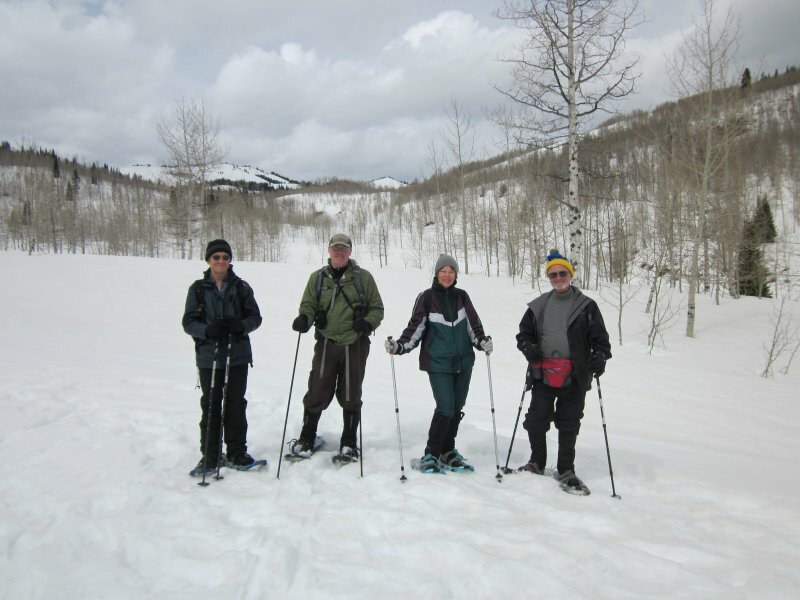 Jim, Tim, Jeanne and Gordon used snowshoes, and as usual, Dave W. was on skis. Unlike last week's trip, the overnight weather was not cool enough to freeze the surface of the snow, creating soft conditions from the outset. The forecast called for rain in the afternoon, but we didn't experience anything worse than an overcast sky. The usual snow bridge at the bottom of Bunchgrass Creek was missing due to the lack of snow this year, but there were other places to cross nearby. A fallen log in the meadow below Goring Pond was our lunch site, where we shared green cookies to recognize St. Patrick's Day. After resting, we climbed the final 1/4 mile to the pond before heading back down the trail. The soft snow made for an interesting ski experience. The narrow strip of packed snow it the center of the path was firm enough to provide just the right amount of support for an effortless downhill glide, and any need to slow down was easily accomplished by simply stepping into the softer snow along the side. Our total trip distance was 3.8 miles, with 750 feet of climbing. We had just gotten back to the parking area when USFS personnel arrived on their way back from "Winter Trails Day" at the Sinks. They quickly retrieved the poles and signs that had been marking the snowmobile boundary all winter, offered us some left-over cookies from the Sinks event, and headed down the canyon. This may have been their last snow day of the season, too! In the meadow near Goring Pond. Heading back down after lunch.